Craving pizza? You’re in luck: a new fast-casual, build-your-own pizzeria has opened its doors in the Downtown Commons. The Pizza Press is an Anaheim-based, vintage newspaper-themed chain whose newest outpost is located at 405 K St., Suite 240. 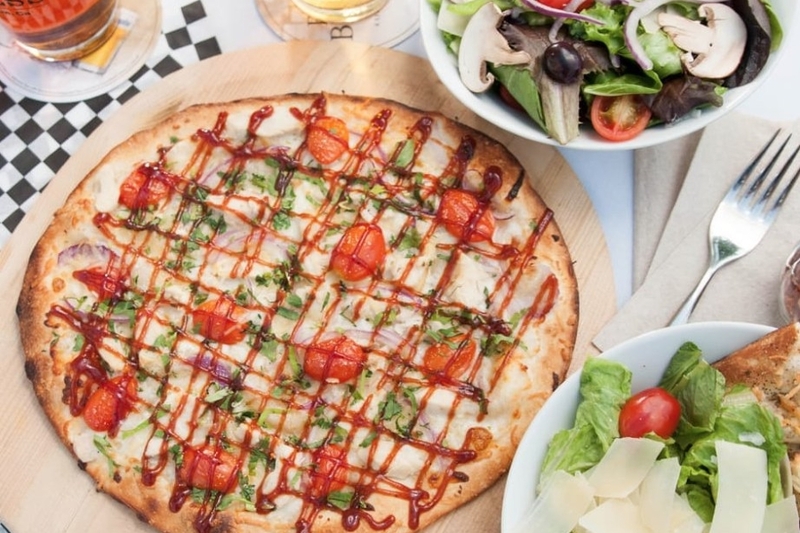 To wit, while diners can customize everything from dough to sauce to dressing on their 11-inch, personal size pizzas if they wish — and only a few choices cost extra, like gluten-free dough and vegan cheese — they can also choose from one of half a dozen signature styles. The Pizza Press has thus far escaped the fate of actual print media, with a 4.5-star rating out of 17 reviews on Yelp. Head on over to set your type: The Pizza Press is open from 11 a.m.–1 a.m. daily.